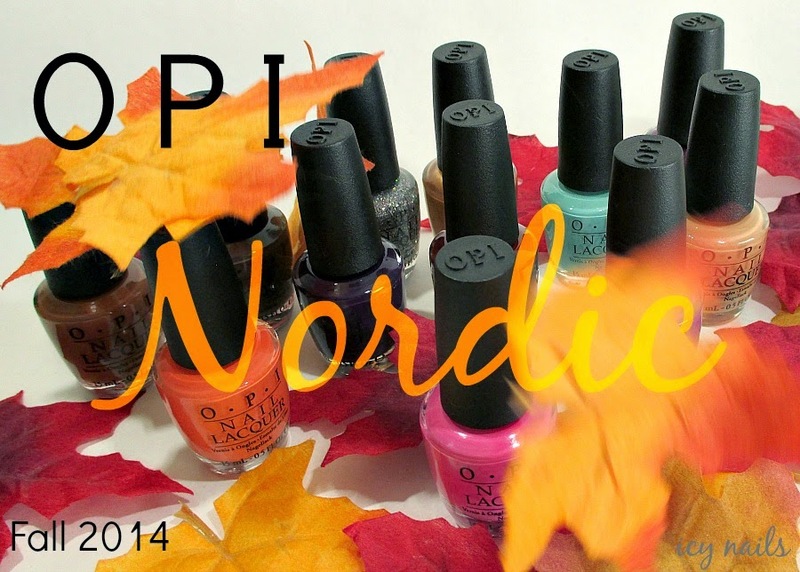 Ready for part two of my OPI Nordic review? Yes? Good. I thought about adding yet another part but I decided to be a total jerk and just lay all the rest of what I had on you, at once. This is a long post with a lot of photographs. If you think you can't take it, just... Close your eyes and think of England. Suzi Has a Swede Tooth. 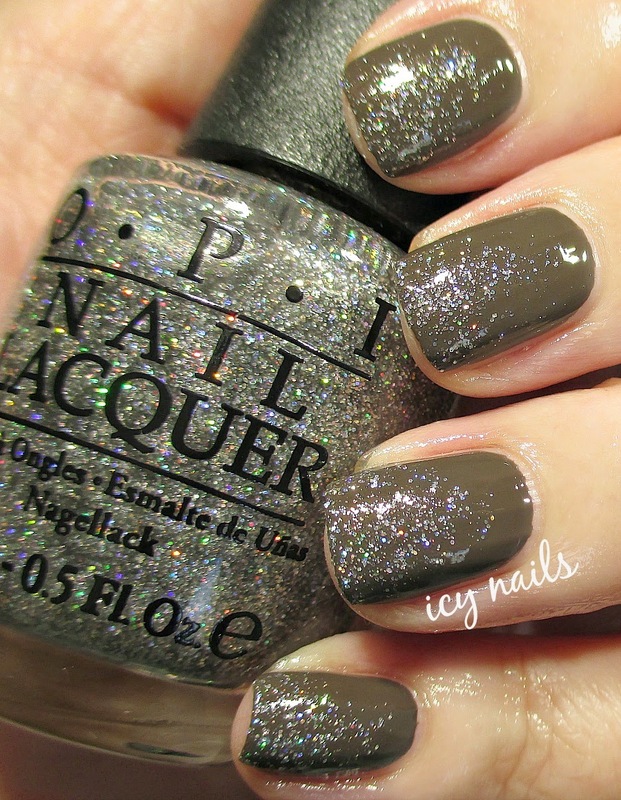 Okay, I love OPI's punny names and even I want to throw a rock at that one! I don't however want to throw a rock at this bright, rich pink. This is three coats. Viking in a Vinter Vonderland. 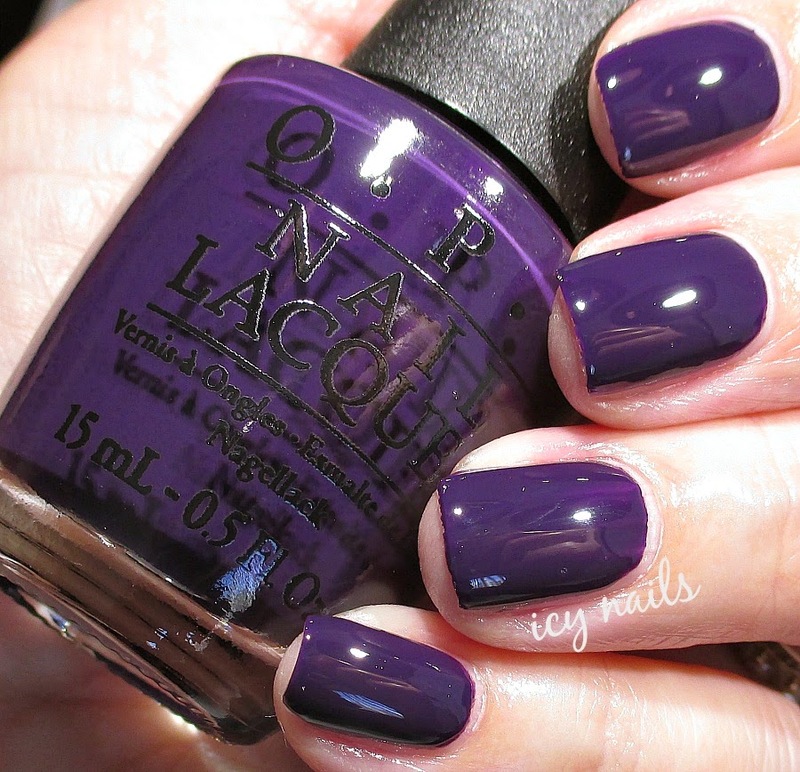 Deep, rich, royal purple crelly. Two easy coats to perfect. Golly, this polish is gorgeous! Ice-Bergers and Fries. Hello warm, gooey caramel brown. I don't much like to wear caramel but I am more than happy to eat it. I had to colour correct my skin quite a bit, this polish gave me lobster claws. The formula on this one fought me like a wolverine. It streaked, stacked and bubbled like a mo fo. I don't know if it was the temperature in my room, the atmospheric conditions (I was swatching during a tropical low moving through) or what but yeah. You can't tell because Seche Vite smoothed out the aftermath of a battle royal! Skating on Thin Ice-Land. Oh, yeah. Deep plum gloriousness. (I know. Not a word. Bite me.) This was three coats, because ridges, but I didn't care a bit because the formula is so easy and smooth and biddable. Kids, this polish is stunning. Seriously. Stunning. If you are fair, it makes your skin look like cream. If you are dark, I can just imagine how gorgeous is would be against deep skin tones! With a Nice Finn-Ish is a bright, somewhat brassy metallic gold. 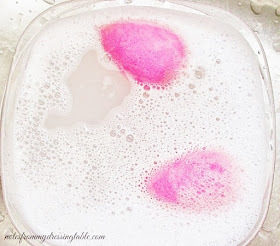 The formula is very nice to apply but brushstroke-y and I had some difficulty with bubbling. I applied this one over ridge filler. What a difference that stuff makes! My Voice is a Little Norse. Super sparkly, insanely cold, a little dirty; this glitter topper looks like the surface of a glacier reflecting the rays of the sun. This delicate glitter can layer like a dream or be worn alone. While it is possible, with enough coats to get it fully opaque, I like it a little sheer. As if my nails are frosted in ice crystals on a cold Winter night. The formula on this glitter beauty is fantastic. OPI can get glitters really right. Would you like to see it over some of the other polishes in this collection? Over Thank Glogg it's Friday. Over Do You Have This Color in Stock-Holm? Over Viking in a Vinter Vonderland. Over Skating on Thin Ice-Land. I did a gradient over How Great is Your Dane? Bet'cha didn't think you would be getting nail art. Trust me, I'm as surprised as you are. Oh, and because this post is already obnoxiously long, how about I pile on a little video I made to show you how My Voice is a Little Norse sparkles and shines in the sun? So what do you think, gentle reader? Are you loving this collection? 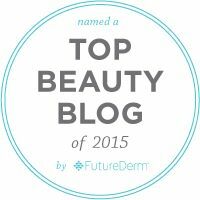 Have you met polishes that you would like to have? You can find OPI Nordic at Ulta and in their stores, at Sally Beauty Supply, tho I can't find it on their website, JC Penney Salons, various beauty supplies and other retailers near you that carry OPI polish. OPI retails for $9.50 a bottle but if you shop creatively and use coupons, you can save money. 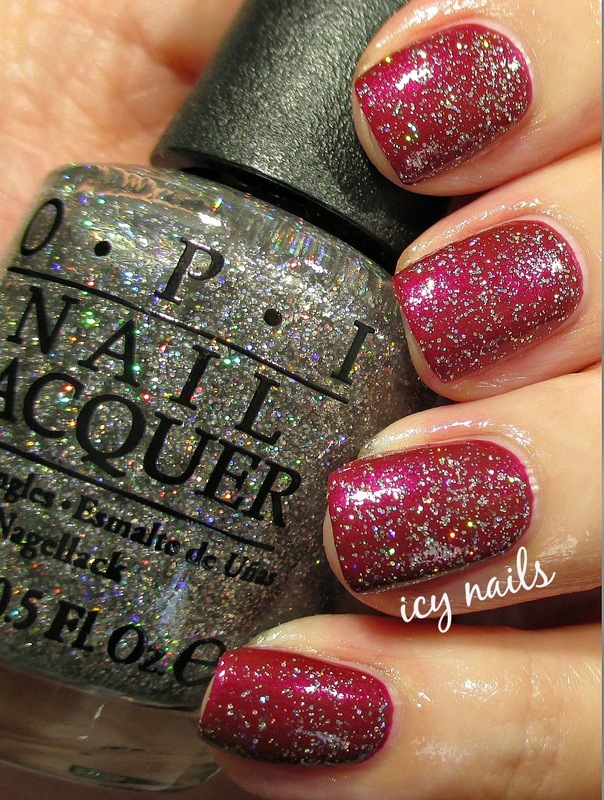 As of this post going live, OPI is Buy Two, Get One Free at Ulta and on the Ulta website. Check the site for sale details. If you made it through this long post without your eyes crossing and dropping out and rolling across the floor, I salute you and pass you cookies and a cool cloth. Thank you so very much for taking the time to read and leave a comment. I truly appreciate that you click and come by. Really great colors in this collection. Love seeing that glitter at the end over so many different bases too. Gorgeous collection and I totally get the whole Nordic vibe! Suzi has a Swede Tooth is gorgeous on you! Skating on Thin Ice-Land is super pretty!! Susie Has A Swede Tooth is all kinds of pretty. OPI really did a great job with this set! I was eyeing these at Ulta just the other day. Love them all! I'm definitely going to get My Voice is a Little Norse next time I see it. I shouldn't have passed on it before. It's gorgeous and so versatile! Skating On Thin Ice-Land is my fave!!! Skating on Thin Ice-Land looks like a must-have! 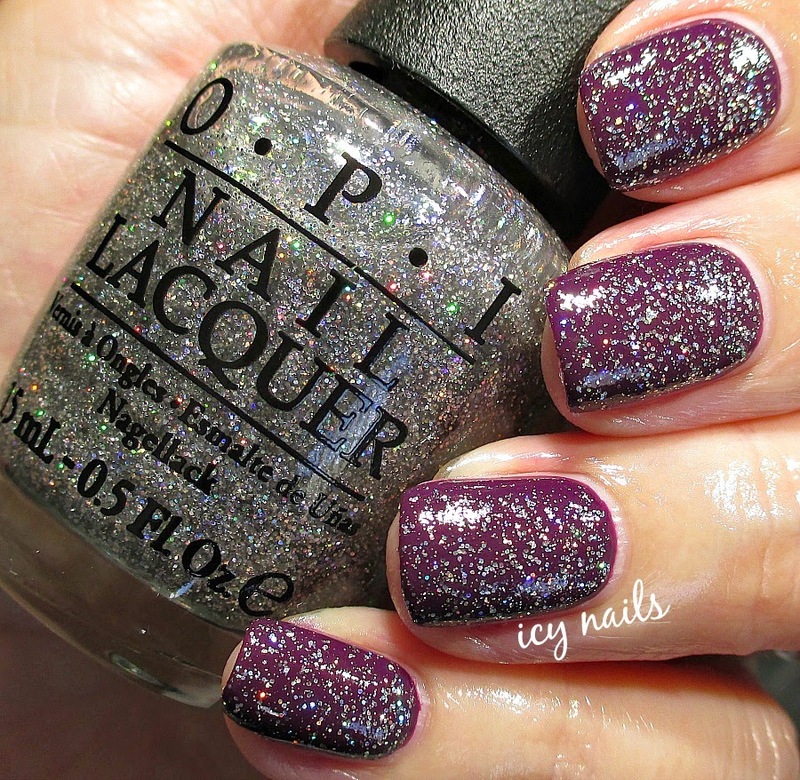 Omigosh - I'm drooling over the purples and the glitter. I want so many more of these than I thought I would. Gorgeous nails! I was incredibly happy with this collection and you did a seriously amazing job showing off these shades! Viking in a Vinter Vonderland...I have been seeing this color everywhere this season and I'm drooling!